When people do nice things for us, we become filled with gratitude, which is also a form of enthusiasm for life. Sometimes “thank you” just doesn’t adequately express the rejuvenation someone else’s good deed has given us. 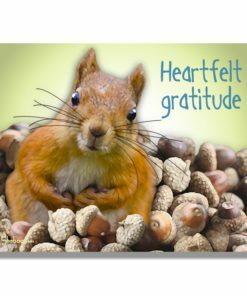 This card is left blank inside for your to write your own personal, uninhibited note of thanks!